Jone is a 12 year old boy. Along with his mother and 3 other children in the family, Jone became homeless after the recent tragic death of his father. The family is currently sheltering in a run down dwelling and rely on neighbours for food. Jone is a delightful boy who is managing to cope despite the crippling circumstances. 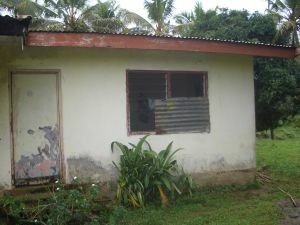 The day we visited, Jone he was desolate after the small amount of crops the family had grown for food had been stolen. What a desperately sad situation. 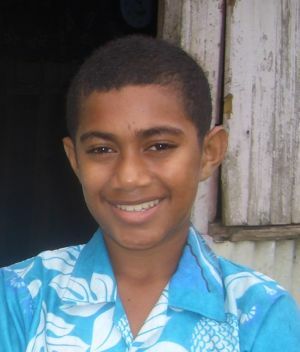 Jone enjoys attending school and his favourite subject is all subjects. Jone travels to school each day on foot, walking around 1km each way. When he grows up, Jone wants to be a pilot. This boy deserves to be sponsored. He is an above average student and keen to learn at school. His poor attendance is due to his family situation where he often has to care for his younger siblings. Jone has now been sponsored and will continue to receive the education that every child deserves.